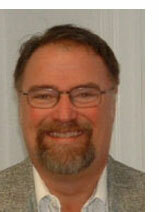 Reid Daub is an ICC certified inspector and has been an instructor with CSLS since 12/3/2002. As an instructor with CSLS, he delivers IBC/IRC Seminars, Professional Home Inspection Seminars, Blueprint Reading and Estimating Seminars and License Exam Preparation classes. He is a member of the International Code Council. Mr. Daub is a Senior Building Inspector, City of Los Angeles, Department of Building and Safety, Inspection Bureau, Division of Building Inspection where he has had experience in both residential and commercial projects since 1989. Mr. Daub is currently the Building and Safety Senior Construction Coordinator at LAX. Mr. Daub is a Licensed General Contractor (License #379563) and is co-owner and operator of J&R Home Inspection Services in Santa Clarita, CA. Mr. Hilley teaches the CSLS Contractors Law & Trade Exam Preparation courses, Crash Courses and the Estimating and Blueprint Reading courses. He previous experience includes project manager for Hilley Construction Co. Inc, responsibilities included overseeing two HUD/Elderly Housing projects and masonry estimator for O’Henry Hilley, Inc. He holds a MBA in Technology Management and a BS in Business Administration/Management Systems Analysis. 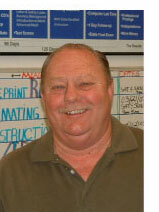 Mr. Kelley has a combined 38 years of teaching experience, 16 years in California public schools and 22 years with CSLS. Mike was the first instructor hired by CSLS. He currently teaches the In-School Law & Business course, Crash Courses, Test-Taking Strategies and Construction Math. He has a BA from California State University Long Beach and a California Teaching Credential from UC Irvine. 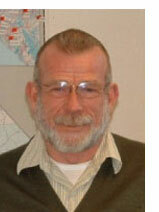 Mr. Kelly is an instructor in our North District and is based in Sacramento.